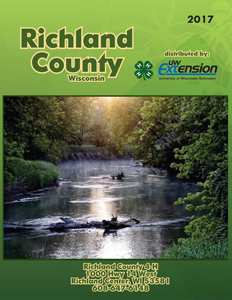 The Land Information Office (LIO) was established as part of the statewide Wisconsin Land Information Program (WLIP). The WLIP provides coordination and funding to support Wisconsin local government land records modernization efforts. Our goals are to coordinate the modernization of land records and to maximize the effective development, maintenance, and use of shared geographic and land information system resources throughout Richland County. The Land Information Department provides mapping and land records products (parcel assessment, zoning, floodplain, etc.) and services, as well as support for our Geographic Information System (GIS) website both internally and externally. We provide GIS software support in-house to many departments, as well as educate the public in the use of these and other online services. You will find information on our services through this page and the related links. Feel free to contact us with any questions.